Ransomware attacks are particularly nasty things that hold your data hostage and demand money - but before you reach for your wallet to save your files you should make sure you check out this list of the best free anti-ransomware software. 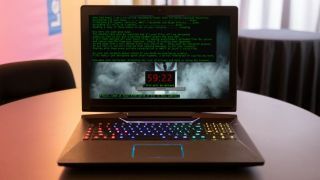 Many of the big names in PC security provides tools that will release your PC from ransomware and don’t charge for the privilege, and in this guide we show you the best anti-ransomware software that can be had for free. There are also dedicated tools to prevent programs that behaves like known ransomware from running on your PC at all. Before you get started, it's useful to recognize that there are two main types of ransomware: the kind that encrypts your files and threatens to delete them unless you pay a fee (like WannaCry), and the kind that locks you out completely by preventing you reaching your desktop. Thankfully, there are free tools to combat both types. If you haven't yet fallen victim to a ransomware attack and want to protect your PC proactively, consider a dedicated prevention tool like ZoneAlarm Anti-Ransomware, which uses behavioral analysis to identify processes that act like ransomware – even if it's not yet a specific known threat – and automatically backs up your files if it detects anything. It carries a subscription fee, so we haven't included it in our main roundup, but $1.99 per month for one PC is a modest fee compared to the ransoms charged by criminals. Not all ransomware encrypts data in the same way, so security software providers have to create specific solutions as new threats emerge. At the time of writing, the security experts at Avast have developed Free Ransomware Decryption Tools to tackle 21 different strains of file-locking ransomware. To help you work out which one you need, Avast has provided a detailed description of how each form of ransomware works, what extension you’ll see on the encrypted files, and an example of the type of message the virus creators have prepared for their victims. Once you’ve downloaded the appropriate tool, it will guide you through the process of wiping out the ransomware without paying the criminals. You’ll need to provide two versions of the same file – an encrypted one, and the original. This will be easiest if you made a backup before the infection, but Avast also suggests locations where you might be able to find unaffected original files. The tool will then compare the two and use the results to determine the password. Trend Micro Ransomware File Decryptor is updated regularly with new ransomware definitions, and at the time of writing it can release files locked by 27 different types of ransomware and their variants. Unlike Avast, Trend Micro bundles all its decryption tools into one bundle, but you still need to tell it what form of ransomware it’s dealing with. Trend Micro’s site provides information to help you identify your particular infection, plus contact details for its technical support department if you’re not sure. Once that’s done, provide a sample file for the Decryptor to analyze, and it will get to work. Decryption can take anything from a couple of minutes to several hours, depending on the type of encryption used. The File Decryptor Tool isn’t perfect – some forms of ransomware are particularly tricky, and can only be partially decrypted – but the company is constantly working to improve it, and it’s an excellent tool for use in an emergency. There are two Trend Micro Ransomware Screen Unlocker Tools – one for PCs that are locked so you can’t log into Normal Mode, but you can access Safe Mode with Networking via the BIOS menu, and another for situations where both mode are blocked. The other version of the tool has to be downloaded using an uninfected computer and saved to a USB stick. You can then use to boot the locked machine. Once initiated, the unlocker will perform a scan, then remove any ransomware it detects, releasing your PC. Like Trend Micro’s File Decryptor, the two versions of Screen Unlocker benefit from regular updates to combat new forms of ransomware. There are lots of superb free antivirus programs around, but not all offer dedicated protection against ransomware. If your you’re concerned about the risk, Bitdefender Anti-Ransomware is a handy supplemental security tool that runs alongside your usual security software to protect against some of the most common forms of ransomware and their offshoots. Bitdefender Anti-Ransomware currently protects against VTB-Locker, Locky, Petya and TeslaCrypt, and starts defending your PC from these threats immediately. However, it’s only a preventative measure; if your computer has already been infected with one of these malicious programs, you’ll need to use one of the tools mentioned above instead. If you currently use Bitdefender Antivirus, the Anti-Ransomware module is already installed. Ransomware on your home computer is bad enough, but an infection that locks you out of your business PCs could be an absolute disaster. Your accounts, customer data, client information and work could all be encrypted – and it could affect multiple machines on the same network. Kaspersky Anti-Ransomware Tool for Business is designed to help small- and medium-sized businesses (SMBs) protect their data from such a catastrophe. Like Bitdefender Anti-Ransomware, it’s a preventative tool designed to prevent infection in the first place rather than decrypt files or unlock your desktop.